Our Story is a resource of knowledgeable speakers who tell the story about the Japanese American incarceration during World War II. The speakers provide insight into the causes of the incarceration and its impact on individuals, the community, and the Constitution. The speakers share stories about the way the incarceration affected the lives of individuals and families. Our Story informs us that the decision to incarcerate Japanese Americans was wrong. It traces the plight of Japanese Americans during a tumultuous time and describes the living conditions in the concentration camps. It informs us that the Constitution did not properly protect Japanese Americans during World War II. It fosters the ideal that all Americans share responsibility for protecting the rights of all Americans at all times. 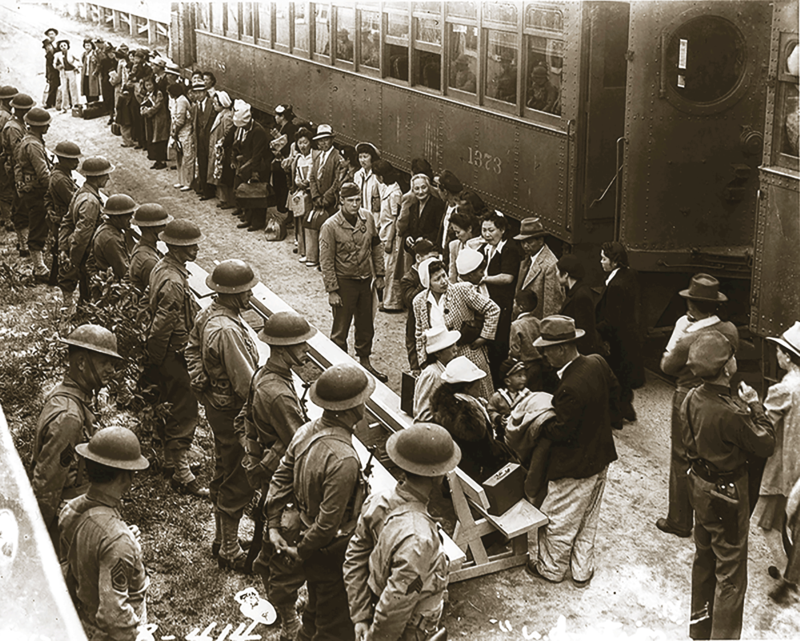 What is the Story About the Japanese American Incarceration? In the aftermath of Pearl Harbor, on February 19, 1942, President Franklin Roosevelt signed Executive Order 9066, which directed the military to designate areas from which individuals could be removed. Under this directive, the government singled out an entire group of Americans, two-thirds citizens, based solely on their race. Japanese Americans in the West Coast states of California, Washington, and Oregon, approximately 120,000 men, women, and children, were forcibly sent to one of ten permanent concentration camps located in remote and desolate areas of America’s interior. All this was accomplished without the basic protections guaranteed by law. Our Story offers classroom presentations by knowledgeable speakers. We offer these in-person presentations at middle schools and high schools. Our Story provides content to assist teachers in meeting provisions of the Illinois Learning Standards. Because we believe this unique story should be shared with a wide audience, we also accept invitations to speak at universities, libraries, community organizations, and other venues where there is an interest in being informed about this important event in American history. Cost: There is a suggested donation of $100 to JACL Chicago. Arrangements can be made for special circumstances. If you are interested in having a speaker for your class or group, please fill out this form or contact our office (773.728.7171/info@jaclchicago.org).